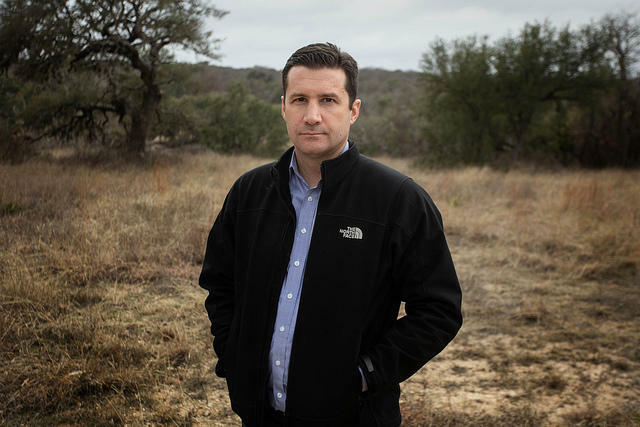 A fight is brewing in Texas Hill Country, where company Kinder Morgan plans to lay a part of its 430-mile natural gas Permian Highway Pipeline. Kinder Morgan is building a 430-mile pipeline from West Texas to the Gulf Coast. The quickest route: through the Hill Country. The Houston-based company says the time is right for the project. An unprecedented drilling boom in West Texas means there’s more oil and gas coming out of the ground than companies can ship to market. The pipeline would carry natural gas to the Gulf Coast, where it can be sold domestically or exported. 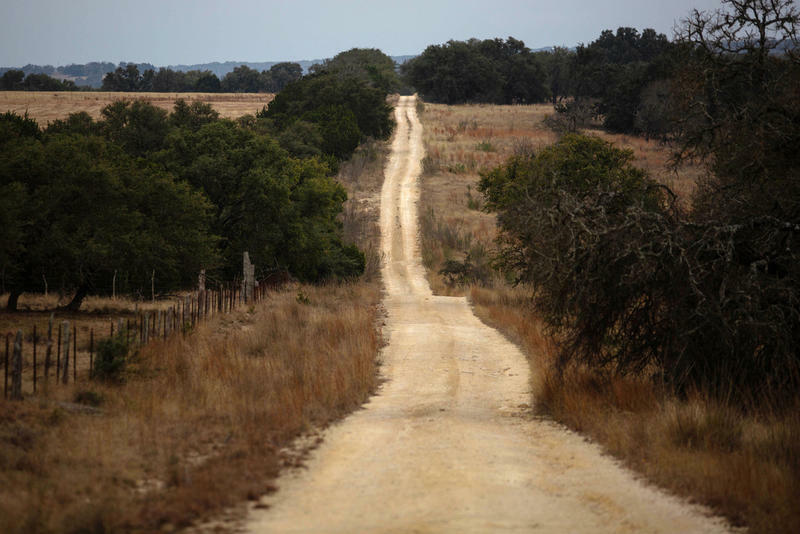 The quickest way there is through the Hill Country, including places like the Hershey Ranch in Gillespie County. The ranch, a 1,500-acre spread of rolling hills and weathered terraced fields, is dotted with trees, ponds and structures dating from the 1800s. If the pipeline is built underneath it, Kinder Morgan would also control about a 100-foot-wide swath of land above the pipeline to maintain it. Andy Sansom says the pipeline will go “right through the heart” of his Hershey Ranch. “It will go right through the heart of the ranch,” says owner Andy Sansom. 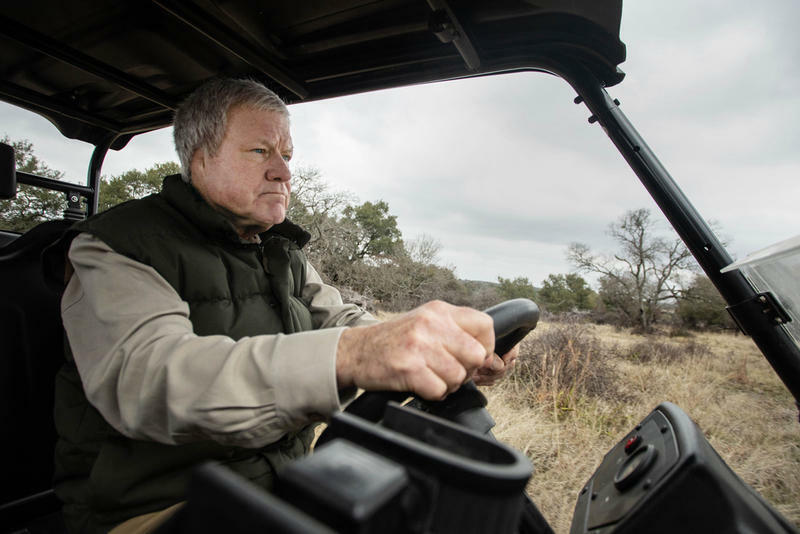 Sansom is a well-known conservationist, who once headed up the Texas Parks and Wildlife Department. He’s especially upset about the pipeline because the Hershey Ranch is private conservation land, where no development is supposed to occur. But, he says, his neighbors with more traditional properties don’t want the pipeline either. The idea that the Hill Country may be too “iconic” for this pipeline is something you can expect to hear more of as the project gets underway. Opponents have already raised concerns over the potential environmental, aesthetic and public health impacts. Kinder Morgan says it’s willing to make small adjustments to the route to accommodate landowners. But the pipeline is coming. But pipeline opponents say they shouldn’t have to take the company’s word on that. They point out that in Texas there is no public process or oversight that happens before letters go out to property owners saying a pipeline’s coming. Luke Ellis, a lawyer for landowners opposing the pipeline, says there’s “virtually no oversight” of for-profit companies taking land for a pipeline. If a landowner doesn’t want the pipeline, the company can use eminent domain to take the land anyway. “One of the first questions we always get from a property owner is: ‘How in the world can a private, for-profit pipeline company take my land?’” says Luke Ellis, a lawyer representing landowners, including Sansom, in their negotiations with Kinder Morgan. That’s something Texas has been grappling with in the courts and at the Capitol for decades. During the last several legislative sessions, lawmakers representing property owners have filed bills to overhaul the system, and the oil industry and others that use eminent domain have fought those efforts. In the end, nothing much changes. “I just think that there’s a huge coalition of … entities that take properties, that coalesce to lobby the Legislature in a way where they do not want to change the framework,” Ellis says. When these debates rise up, the industry usually points out that the use of eminent domain is pretty rare. Fore says the company is working with landowners to make them happy, and part of that is arriving at agreeable compensation for the land. He says the last thing the company wants are unhappy landowners. But in some cases, an adversarial relationship is what happens. At the Hershey Ranch, Sansom says he wants a change in state law to create more oversight over pipeline companies. And, he says, with a new legislative session getting started not far away in Austin, the time is right.